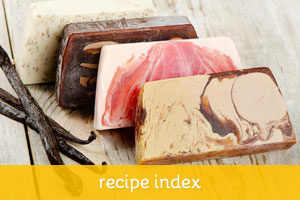 When making cold process soaps, you can substitute the water with other liquids when making your lye-mixture. It’s easy to find recipes with milk, coffee and tea. But beer also makes for a very interesting water substitute. You can get different shades of amber in the finished soap, depending on which beer you use for your recipe. 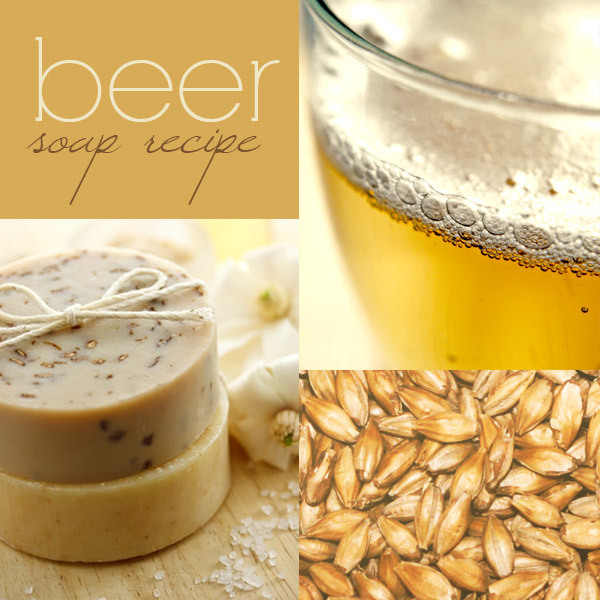 Beer makes for a very manly and gourmet soap, and it goes well with other additives such as honey and also exfoliant agents such as oats, coffee grounds, nuts and seeds. Pour all the beer into a plastic pitcher and then hit it a few times with a stick blender to get up a huge “head” on the beer, and then let it settle down. Do this several times during the day until the beer starts to go flat. For some beers you may need to let it set out for a few days and do this until all the alcohol has evaporated. I know some people heat the beer to remove the alcohol faster but I think it destroys the properties of the beer to heat it, so I just let it sit out and put it in the fridge until it is really flat. When the beer is flat, pour it into a plastic zip bag, lay it flat and freeze the beer. You can then just take out what you want, measure, and use just that part and freeze the rest again for another time. You can also do this for milk, teas, coffee, etc. Add the lye very slowly to the frozen beer, really SLOW so that all the lye will dissolve. You can also dissolve the lye in a small portion of distilled water and then add the frozen ingredient to that and then there is no problem with the lye dissolving. The choice is yours and both work equally well. The important thing is by doing it this way the liquid, beer, milk, etc., is not burned when the lye is added. But with beer and wine it is really important to make sure it is flat and all the alcohol is evaporated because it will heat up if not done. You can use any recipe for soap you want, just use the beer as the liquid portion. If you want to keep it a lighter color and keep some of the natural beer fragrance then do not allow it to go into gel. Instead, as soon as you pour into your mold put it into the freezer. After a day or so I take it out, thaw it, and then cut it and set it to cure for at least 6 weeks. During this time you may smell more of the beer than the fragrance but in time the beer will settle and mellow out and the scent of the fragrance will come through. Because of the natural ingredients in beer it makes a wonderful creamy, conditioning, lather. It is a great seller for me and is often purchased by folks that love beer. 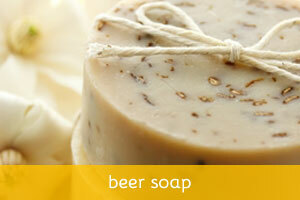 You can use any one of your favorite soap recipes in making beer soap. Just remember to make sure the beer is flat and cold. Use an extra large bowl and pour in the lye slowly – otherwise it will bubble up and may overflow the bowl. 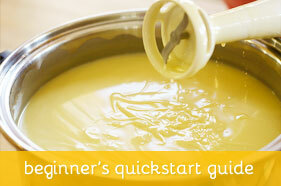 This super simple recipe by Suzy is great if this is your first time making soap with beer. Click here to read the full post on her blog. Check out the full post with instructions here. 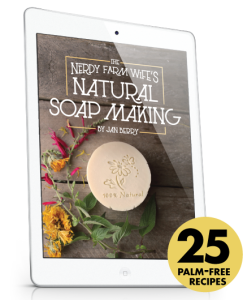 This soap recipe was created by Anne-Marie Faiola, from the Soap Queen. Click here to read the full post on her blog.